Dorm life can get quite hectic. Between classes, assignments, tests and a social life it can be difficult to keep on top of everything. Laundry is often left completely to the side, piling up at the end of the bed and around the room until one day you wake up with not a clean sock in sight! 1. You can go sock-less. But in the NY winter that is certainly not fun. 2. Or, you can jump on the NYC laundry pickup bandwagon. We recommend the latter, mostly because we care about your toes, and don’t want to see frostbite cases rise in the 18-22 year old NY city population. Secondly, because it will make your life that much easier. Our laundry service is the ideal solution for college students. It is super easy to use. We have online ordering! You can schedule a pick up from your computer or smartphone (even during class, shhh we won’t tell!) and we deliver too. 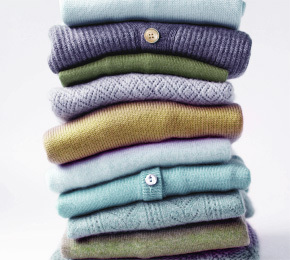 There is nothing better than getting spotlessly clean, fresh smelling, neatly folded laundry delivered to your door. It’s almost like being home. As an earlier post mused, we have come a long way from washing our clothes in the local stream and rubbing it against a board to remove the water. Now you can get full a laundry service in NYC including NYC laundry pickup and delivery but besides for that it is safe to say that with the advent of washing machines our ease of life was unequivocally transformed. Recently there has been a shift from top loading machines to an increase in front loading machines. We at the Laundry Center provide provide wash and fold laundry service to the Manhattan area and are proud experts in this field. Let’s take a look at the two machines. Top-loaders include a vertically mounted, perforated basket that sits inside an outer tub. A water pumping mechanism, called the agitator, pumps water into the outer tub. The agitator’s movement pumps the water, constantly changing directions and recirculating the water to ensure better cleaning. One of the positive aspects of these machines is that the force of gravity ensures that the water stays in the tub and there are no issues with leaking water as front loaders may have if the door seal is damaged. Front loaders work a little differently. In these machines the two tubs are mounted horizontally and the clothes are loaded through a door at the front. Gravity plays a part here too by working against the agitator thus ensuring a back-and-forth rotation. Paddles lift up the clothes and move them around. Front loaders are technically more simple then a top-loader. The door however must remain closed throughout the wash or else the water will come out. This means you can’t add anything once the cycle has started. 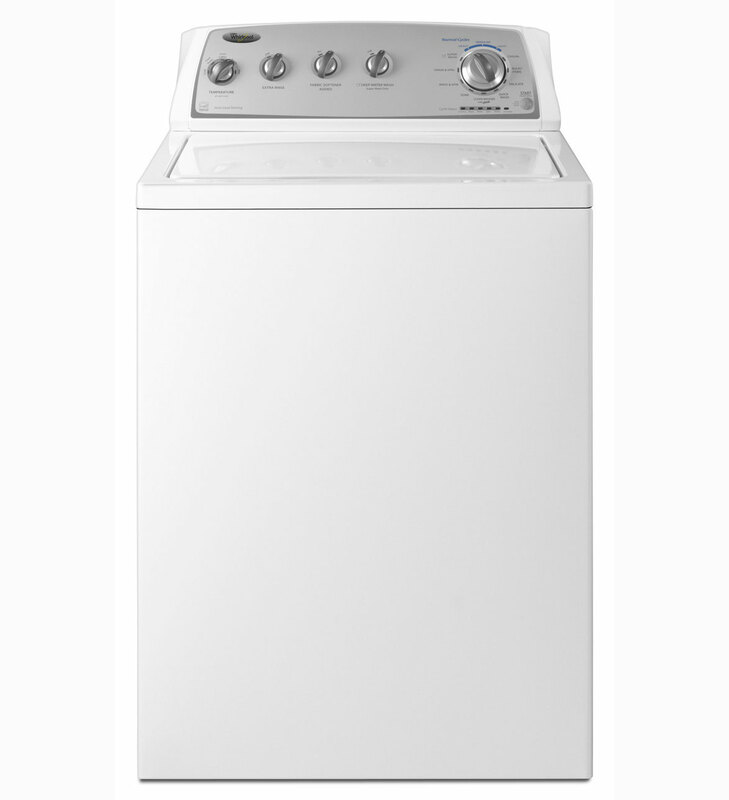 Front loaders are usually more energy efficient and most require HE (high efficiency) laundry detergents. If you can’t get a wash and fold your laundry service to do it for you then you might be stuck doing it yourself. With years of experience under our belt providing NYC residents with a laundry pickup and delivery service we can give you some tips of the trade! Fold the shirt in half vertically, then place the sleeves together on top of the folded shirt. Fold horizontally and then you are done! ally, placing the two legs together and the the pockets on the outside. Fold the legs in half, bringing the legs to just above the top of the pocket or if there are no pockets then to 2″ below the waistline. This is great for jeans, chinos, leggings or tracksuit pants. If the pants have a crease, as in the case of suit pants, then begin holding the pants long ways from the cuff with the predominant crease at the front. Smooth the pant legs down and fold in half at the knees. You can then hang these on a hangar inserting the hanger down the middle or fold in half again and bringing the knees to the top and place in a drawer or shelf. It is better to use a hangar but you can always fold in half vertically and then horizontally. The highly popular news and humor website, Buzzfeed, recently posted an article titled, “30 Squeaky-Clean Laundry Hacks”. We at the Laundry Center tend to use more conventional, scientifically proven methods but we thought some of their ideas were interesting. Using hairspray and hand sanitizer to remove ink stains. White bread to soak up that bright red lipstick stain. A piece of chalk to oust a grease stain. Baby powder to remove the grease residue from your lunch of pizza and fries. Lemon juice to extract underarm yellow stains. 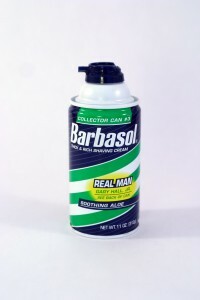 We suggest sticking to conventional methods but should you be out of those products then maybe give one of these a shot! Another option, and we think the most logical, would be to bring the experts on board. Walking around with yellow patches under your arm and grease stains on your pants is not in fashion at the moment. 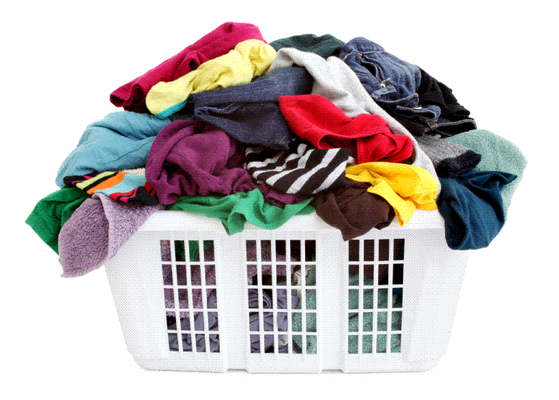 We provide a full laundry service experience to the NY area. We pickup, wash, remove stains and deliver all for a very affordable price. Our laundry service is not limited to personal and household loads–in fact, a major section of our customers are based in commercial industries! Below are some of the major companies we have serviced and continue to be our loyal customers. Our NYC laundry delivery will happily help outsource laundry needs for just about any industry! Can your business benefit from our help? We’ve already given you a few stain busting tips for common issues around households, but let’s get a bit more specific and take a look at a few common household items that can save your carpet’s life! Remember these tips next time you find yourself in a messy situation, and sign up for NYC laundry delivery services to avoid losing any clothing to stains! Washing machines, and in turn laundry delivery services, have been something the majority of people take advantage of in the modern era. However, automatic washing machines are a relatively modern convenience and had their fair share of technological evolution throughout the 1900s. 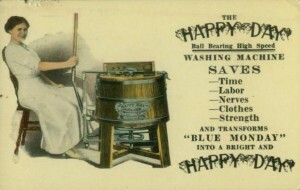 The earliest washing machines were manually driven, generally by a crank system, that allowed the user to spin items within a container of water and some sort of soap. There were endless versions of these types of crank machines, but they all had the same basic idea: simply add water, clothes, and soap. And with a little bit of effort you can have fresh clothing! This was obviously a life changing concept, and people really engaged with it. However, it was missing one crucial element: automation. Automation came just a few decades later—most of the innovation happening around the time of the First and Second World Wars. In 1937 the Bendix Corporation were the first to the starting gate with an automatic washer suitable for home use (pictured below). As you can see, it doesn’t appear to be much different than more modern washers—just missing a few technological improvements we’re used to. Thanks to the onset of commercial washing and drying services, getting your clothes professionally washed and delivered is a modern convenience that is here to stay! The Laundry Center Blog is your source for household, cleaning, and laundry tips to help make your home life more comfortable! In addition, we’ll keep you up-to-date on everything happening with The Laundry Center. So, who are we? Well, to put it simply, we’re a top-rated Laundry Service company that was started in 2008 and have expanded to six locations around Manhattan. However, we’re much more than just a Laundry Delivery company. We want to help all New Yorkers by eliminating the time-consuming task of doing laundry by making laundry delivery service efficient, affordable, and fast! To get started, simply give us a call or stop by our website to schedule a pickup!